Angela and Omar Totti Ramirez are our clients of the month for April 2017. Omar, a Bolivian citizen, recently received his residence based upon his marriage to Angela, a naturalized U.S. citizen originally from Bolivia. We thought we had seen it all before we handled this case. It started off as a simple marriage-based application for residence, the type we have done thousands of times. Angela had been married before. Married for over a decade, Angela sought her divorce in her native Bolivia, where she had married her first husband. After her divorce, she married Omar. We went to an interview at the local Citizenship & Immigration Service (CIS) office and got through everything without any issue. However, the officer did mention that he thought that there might be an issue with her divorce in Bolivia. We were surprised by this and left to see how they would decide the case. Our surprise grew more intense when we received a Notice of Intent to Deny. The CIS stated that they believed that Virginia would not recognize the validity of the divorce in Bolivia. They took the position that because neither Angela nor her ex-husband lived in Bolivia at the time of the divorce. They reasoned that the Bolivian court lacked jurisdiction and that Virginia would not honor the divorce. This was despite the fact that Virginia had issued a marriage license to the couple after receiving evidence of Angela’s divorce. both parties to the divorce were citizens of the country granting the divorce. After review of a lot of Bolivian legal documents, we were able to prove that each of these factors favored our clients. CIS agreed and granted the case. Angela and Omar are delightful people who were pretty unnerved by this curveball from the CIS. 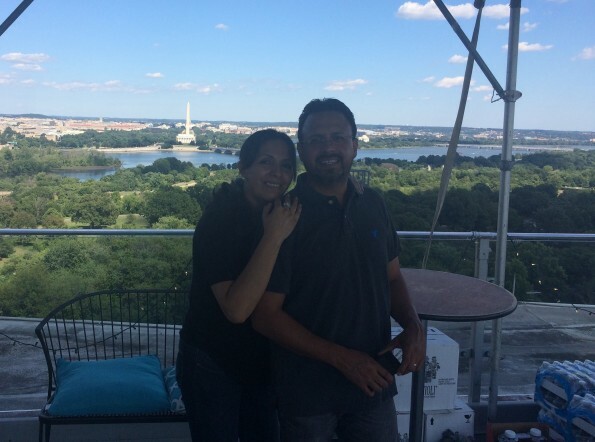 We are happy that they are now secure and able to enjoy their marriage and life in the U.S. Felicidades!